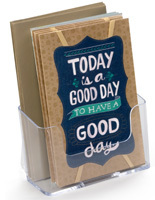 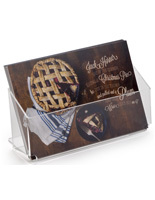 This countertop newspaper holder is made of clear acrylic for complete views of inserted literature. 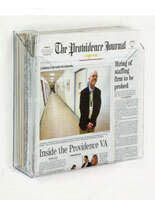 The magazine display is able to hold items that are up to 11” wide in the pocket. 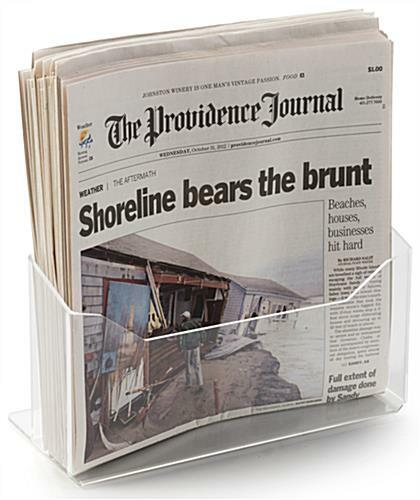 The newspaper holder with back steadying foot is able to stay upright even in busy environments. 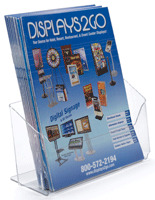 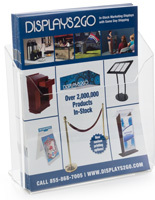 The magazine display is perfect for cash register stands to place papers close at hand for last minute buys. 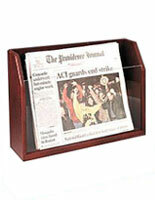 The holder keeps news organized to be easily grabbed by customers. 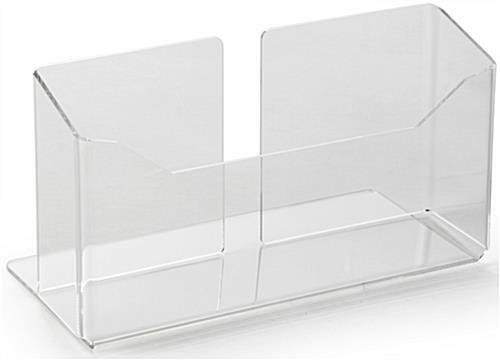 The clear acrylic pocket is durable and able to withstand retail settings.